Provides a durable high sheen finish, and is suitable for use on interior and exterior wood and metal. Very easy to apply, with great opacity and flow. Approximate coverage 16m2 per litre. Hazard Safety Codes: R10, R21, R40/43, R65/R67. 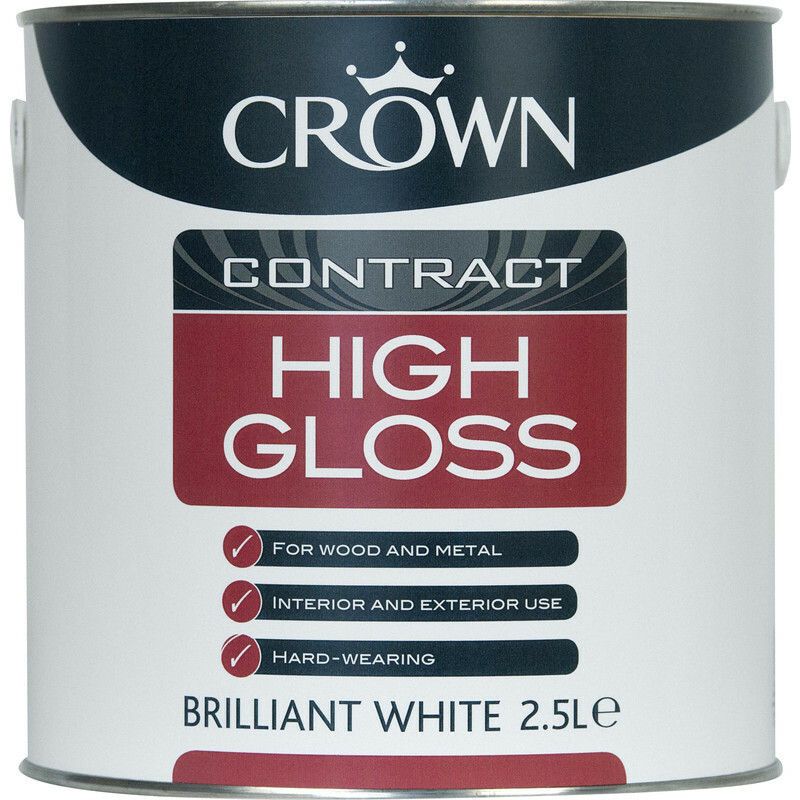 Crown Contract High Gloss Paint Brilliant White 2.5L is rated 3.8 out of 5 by 19. Rated 4 out of 5 by GlenUB2 from Good product. Great price Good product. Great price Coverage is good also. Colour is not brilliant white when wet, but DOES dry to brilliant white. Rated 1 out of 5 by NigelO from NOT brilliant white! Bought to complete a decor that was Leyland paint. This looked cream! Had to go and buy Leyland, this went in the bin. Rated 5 out of 5 by LolC from Crown brilliant white gloss paint. This 2.5 ltr of brilliant white gloss paint was paint was £10.00 cheaper than the dulux paint. When you apply this paint it does not look like brilliant white, but it does dry to a brilliant white gloss and it does go on easily, it takes a good amount of time to dry, but that is OK by me.